My friend Jessica asked me to help her throw an autumn baby shower with a theme of pink and orange. I wasn't quite seeing it at first, but when I saw how everything came together, I was thrilled at the color combo. The guest of honor loved it too. I wish I could claim this diaper cake, but alas - that honor goes to my friend Kristi. She did the one at my shower too. I did do those little guest gifts around it though. I needed a fall cookie to fill the bags, so I made (of course) something from Ina. 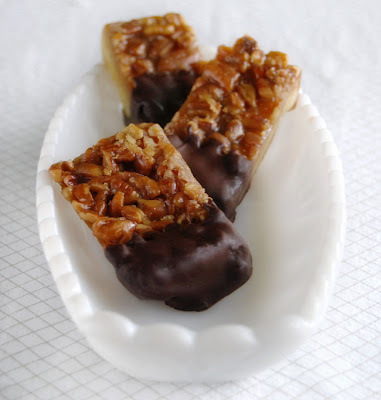 Pecan bars - so chewy decadent and worth the effort. I highly recommend them for your Thanksgiving dessert table. 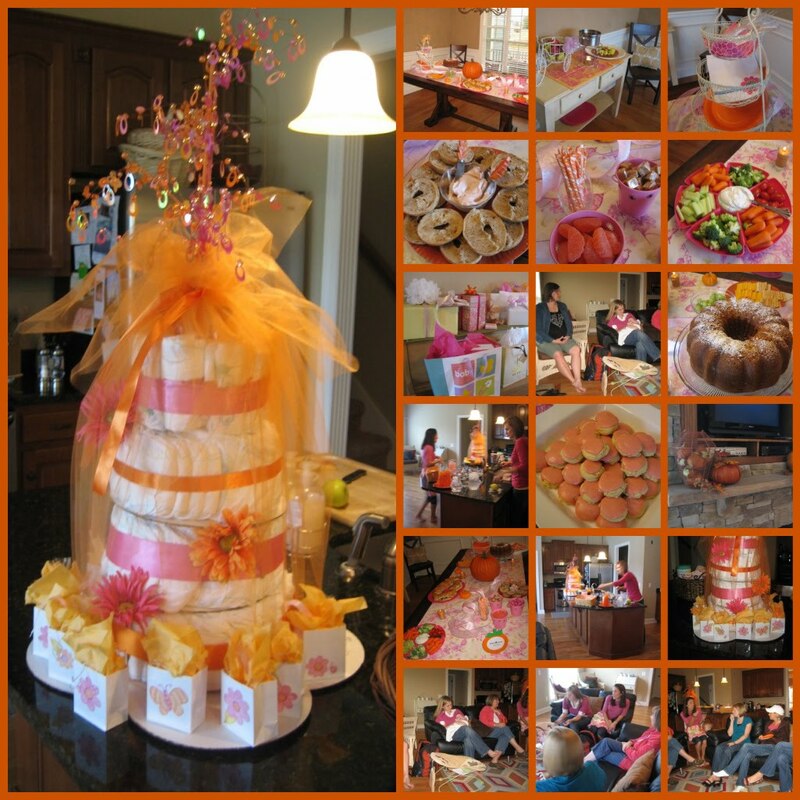 Your party looks so lovely and a fall theme always provides such pretty colors! Those cookies look great, we're having an Ina recipe for dinner...her chicken tortilla soup. But my favorite is a really simple fresh herb dip from her At Home Cookbook. wow what a great shower; I hope to get to throw a baby shower for someone someday! LOVE the orange and pink together!!! Is there anyway you can send me better pictures of the cake and any favors... I love the colors and think they would be great for my little girl's 2nd birthday party in Januuary.